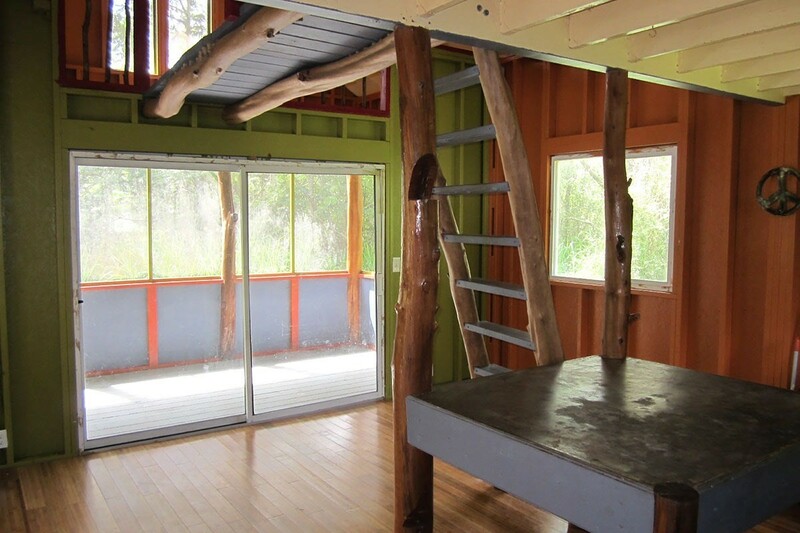 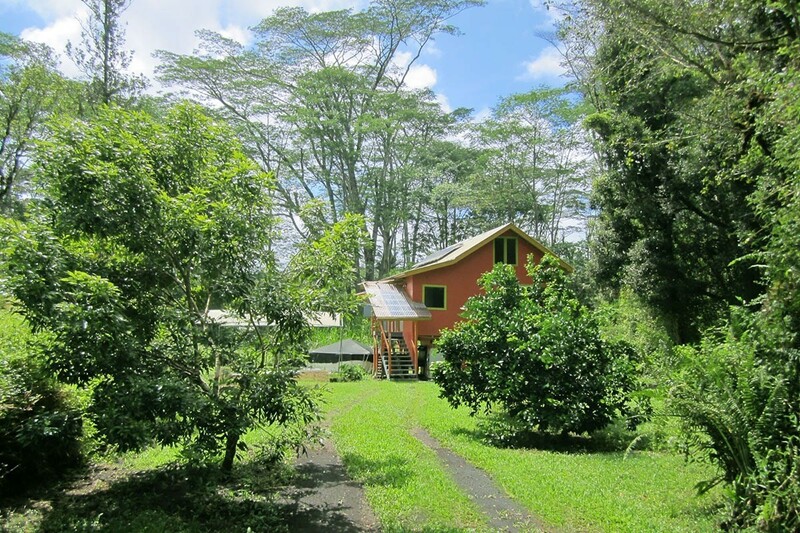 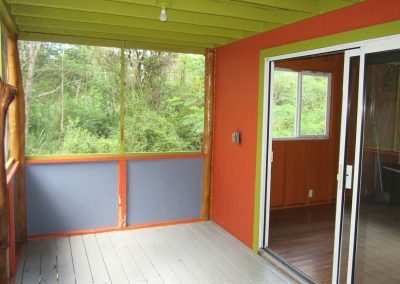 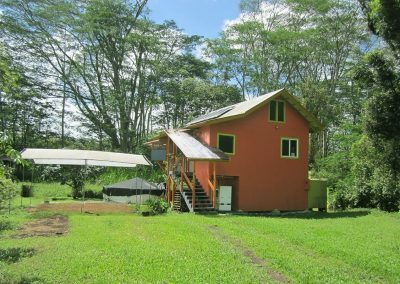 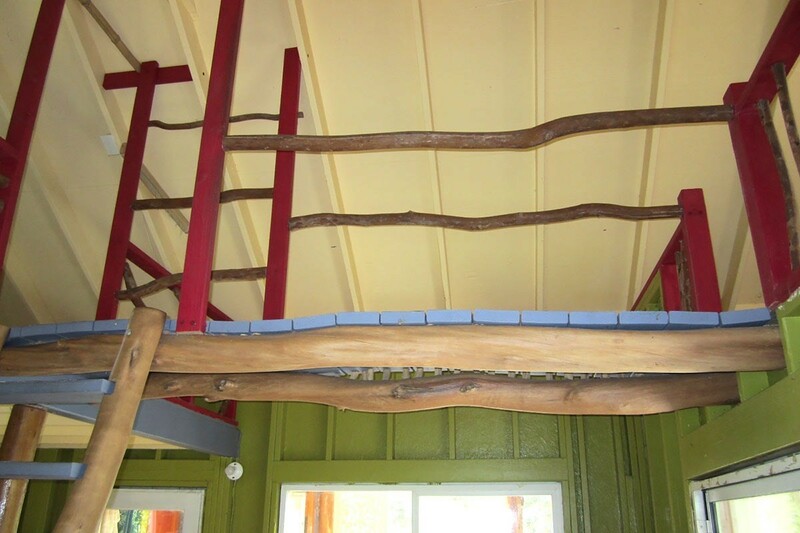 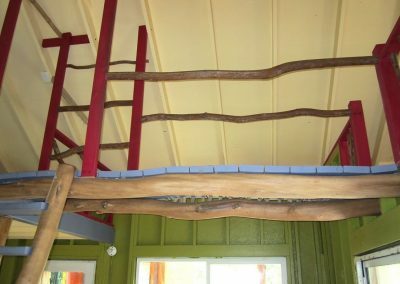 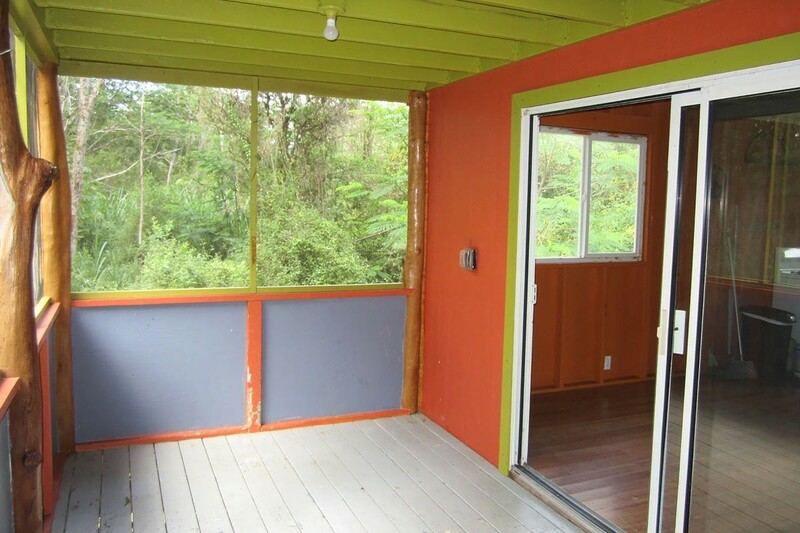 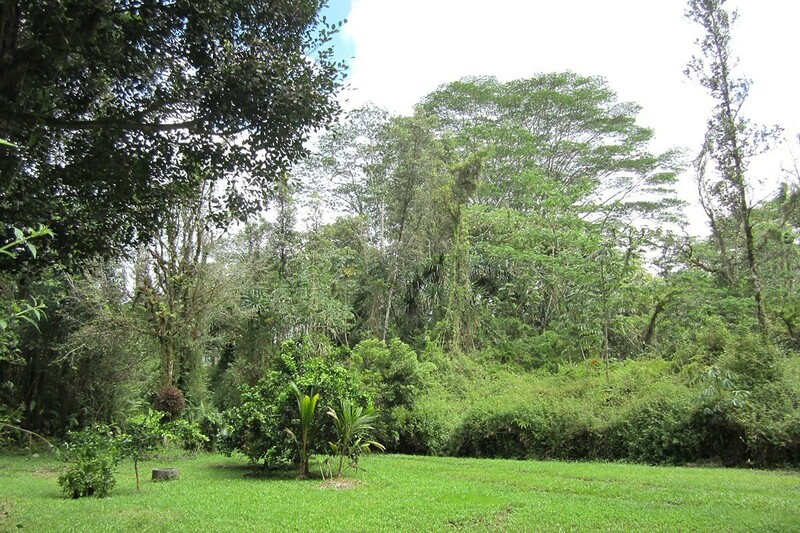 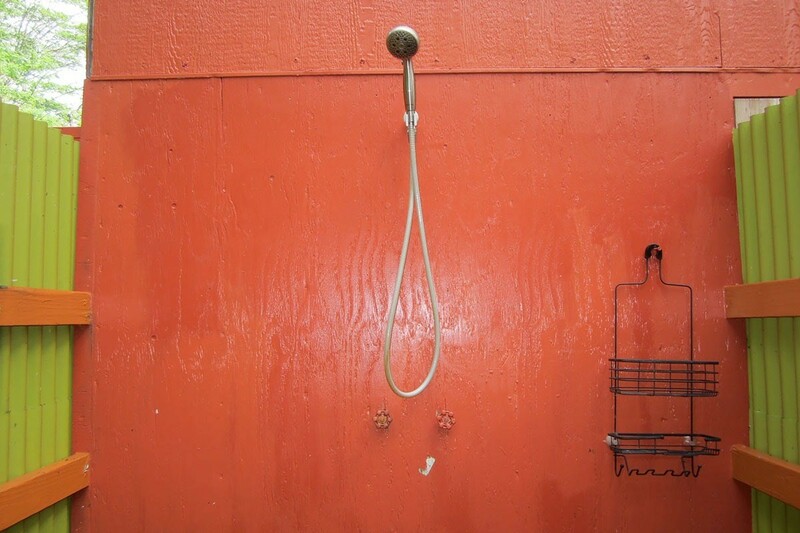 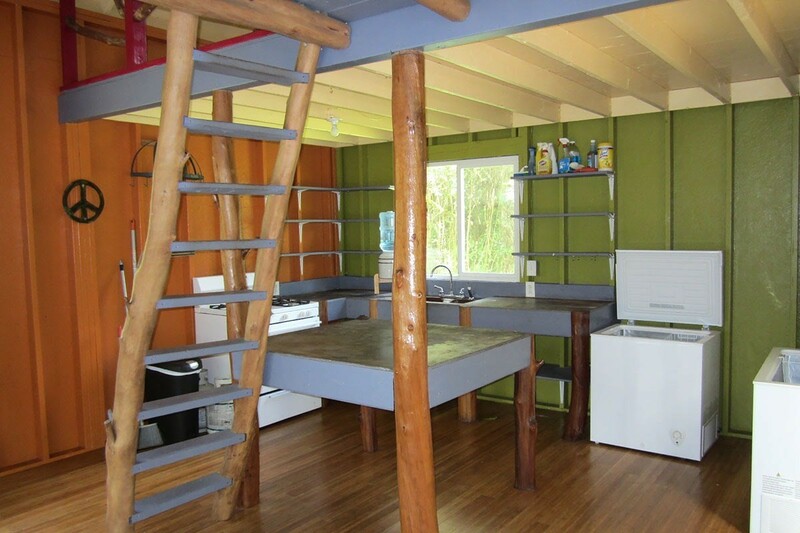 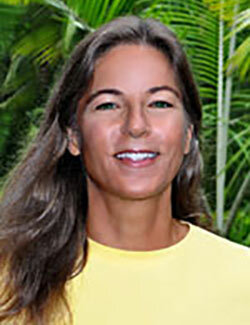 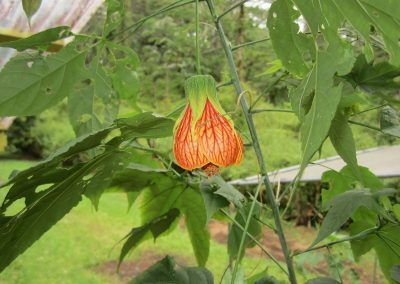 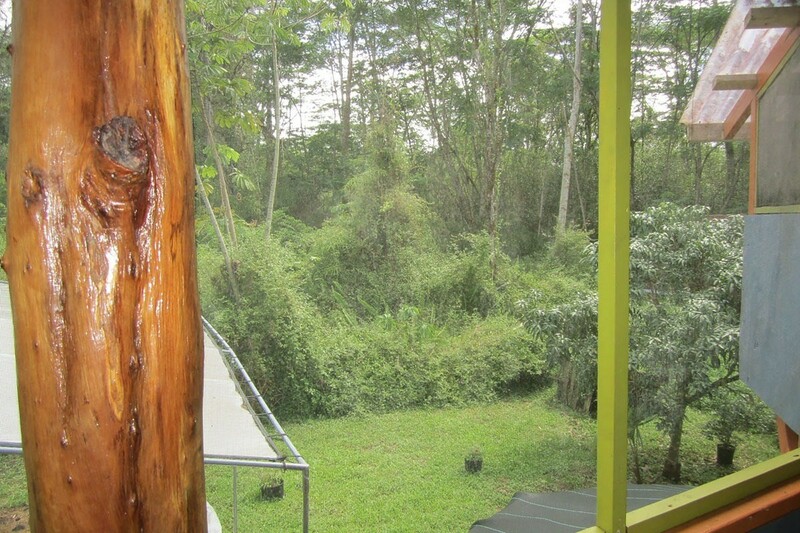 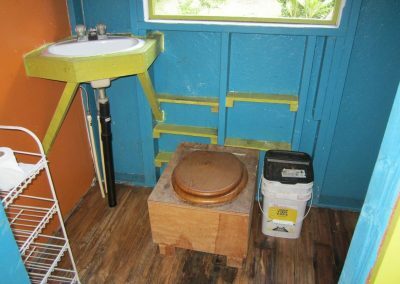 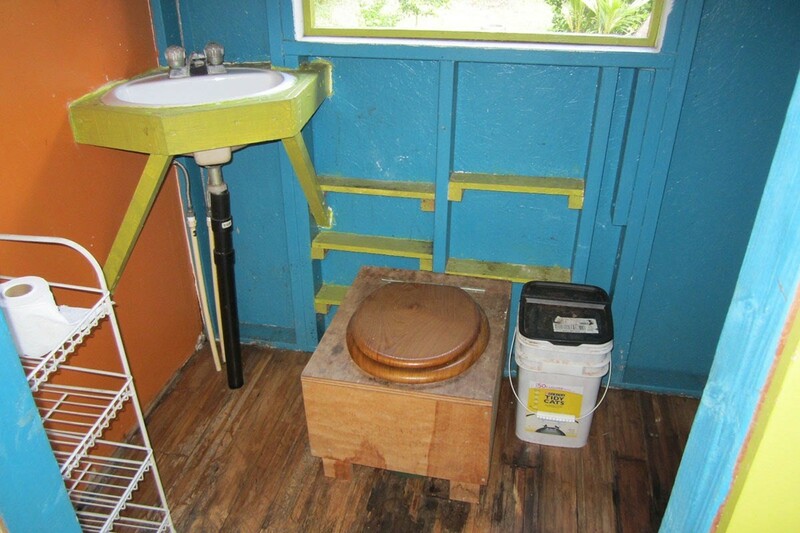 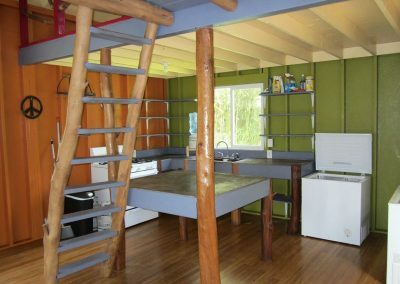 Great opportunity to purchase a “Jungalow” tucked away in the Puna Rain Forest. 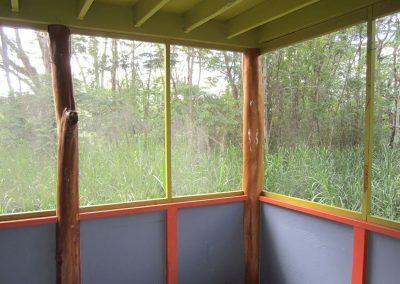 Take what the seller has built and create your own tropical hideaway. 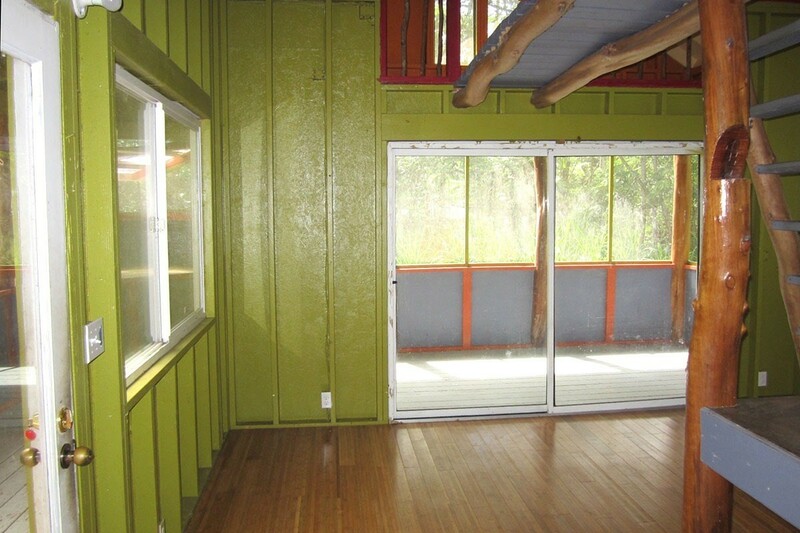 This unpermitted home is located on a 9,086 sqft lot and backs to large acreage. 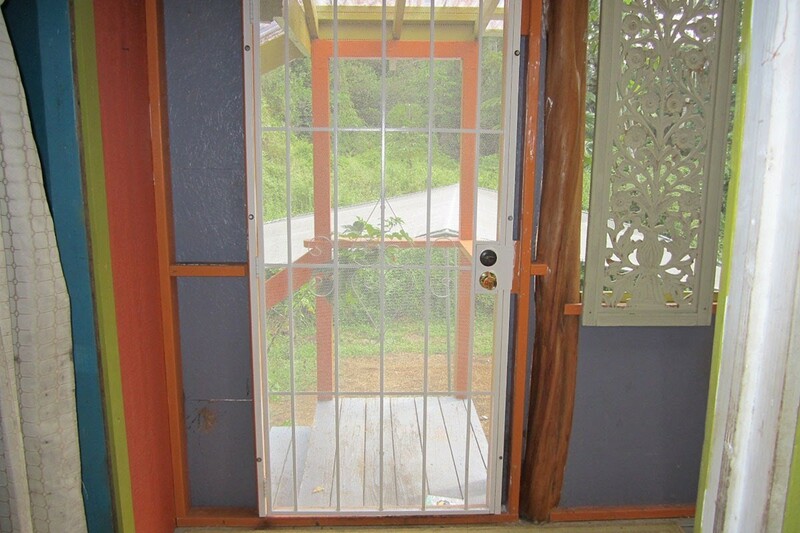 Located on the edge of the subdivision it is private and quiet. 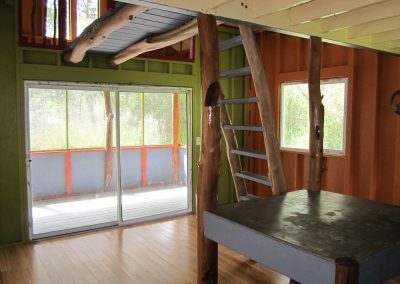 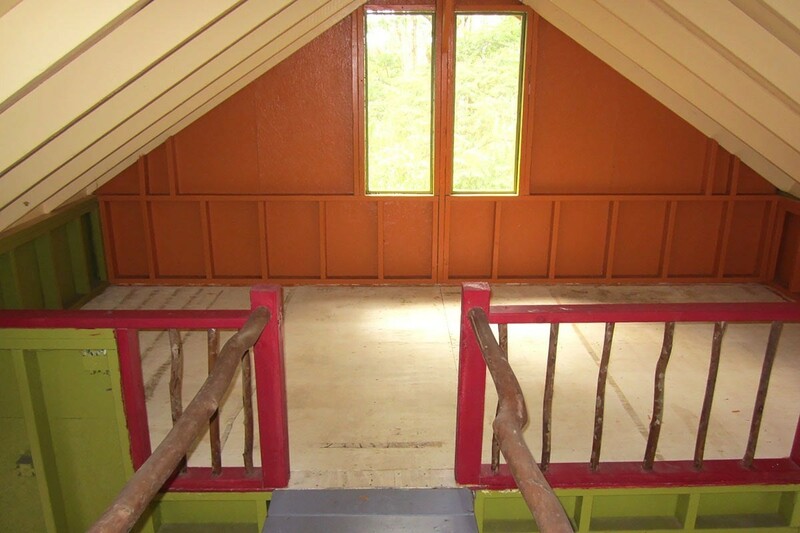 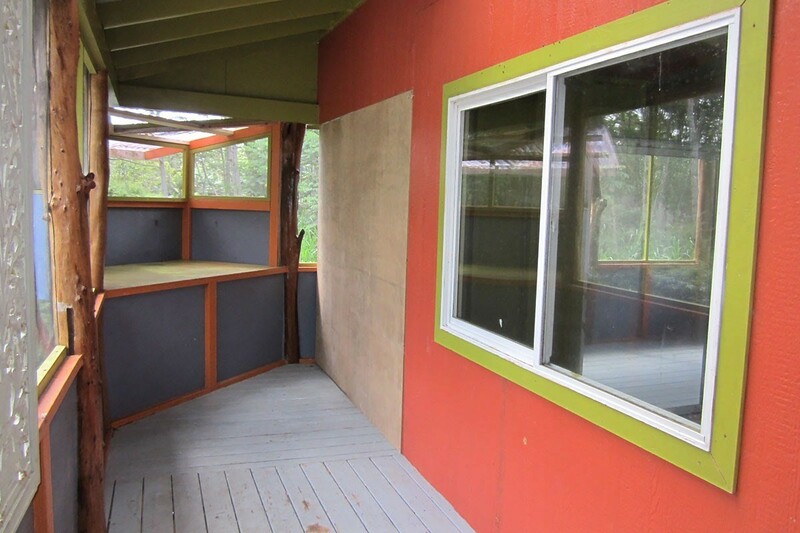 The unpermitted home was built in 2010 and has approximately 560 sqft of living space. 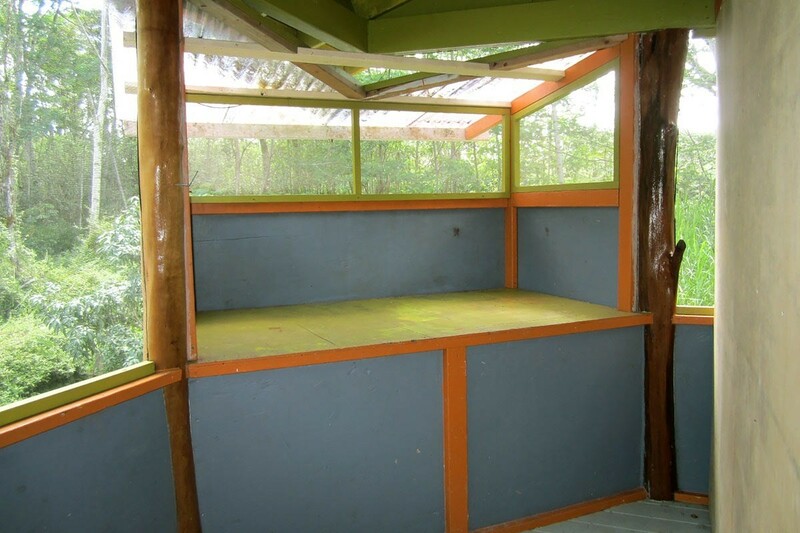 Portions of the 272 sqft of lanai space has been screened in making for additional living space if needed. 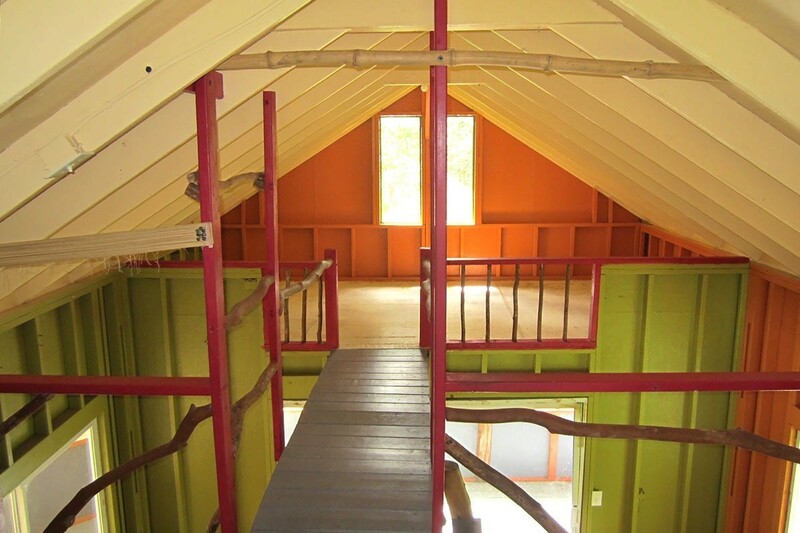 The first floor has the living room, kitchen and dining areas and is approx. 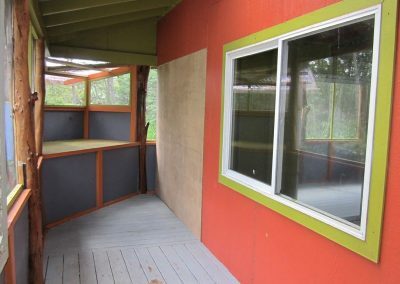 16’ x 18’ in size. 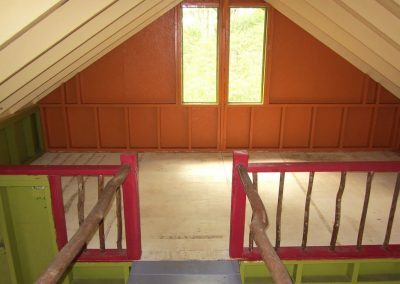 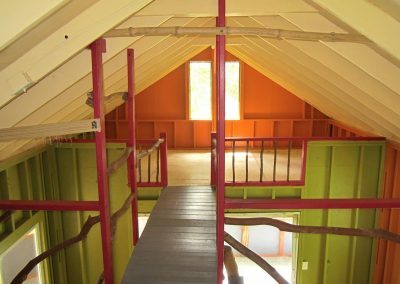 There are two lofts connected by a cat walk between them. 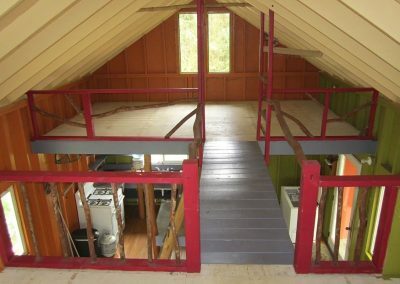 The loft above the kitchen is approx.. 9’ x 16’ and the second loft is approx. 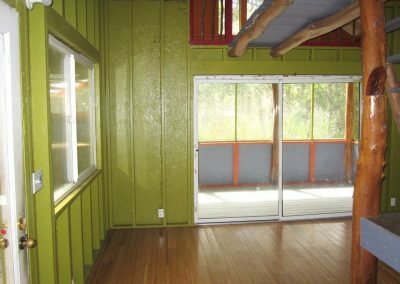 8’ x 16’. 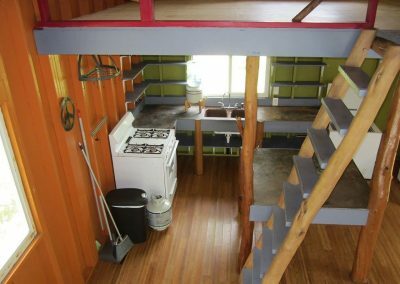 There is plenty of storage under the home which is tall enough to walk into. There are 5 solar panels with one set of year old batteries running the home and a second set of 3 year old batteries running the water system. 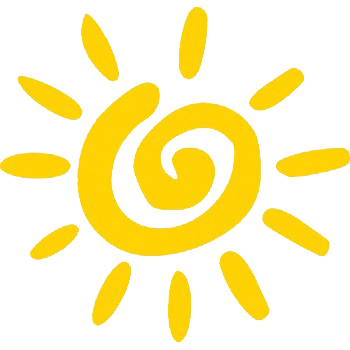 There is a brand new approx. 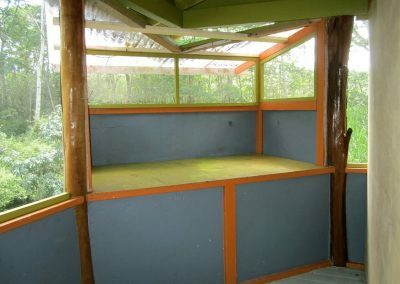 7300 gallon galvanized catchment tank with new food grade liner and cover. 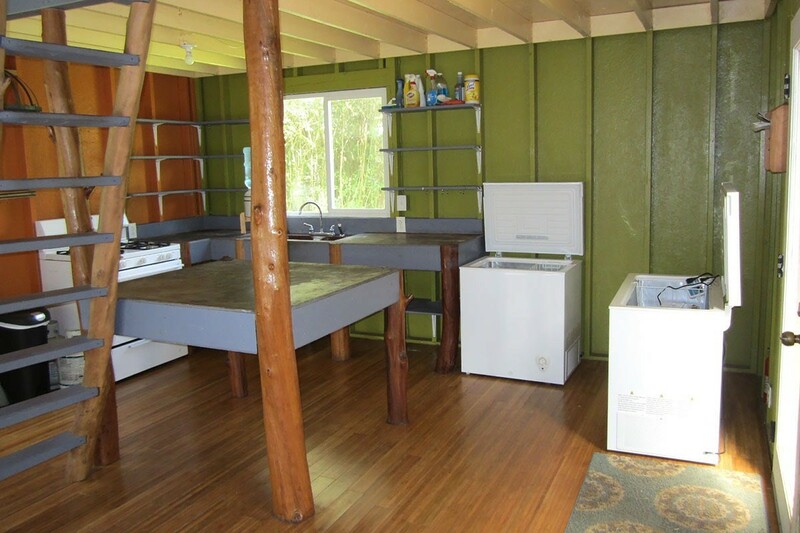 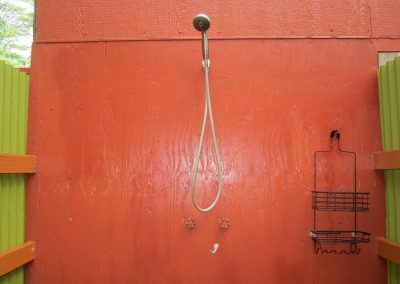 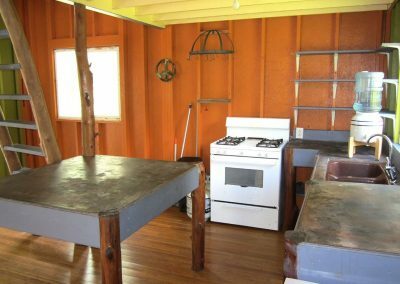 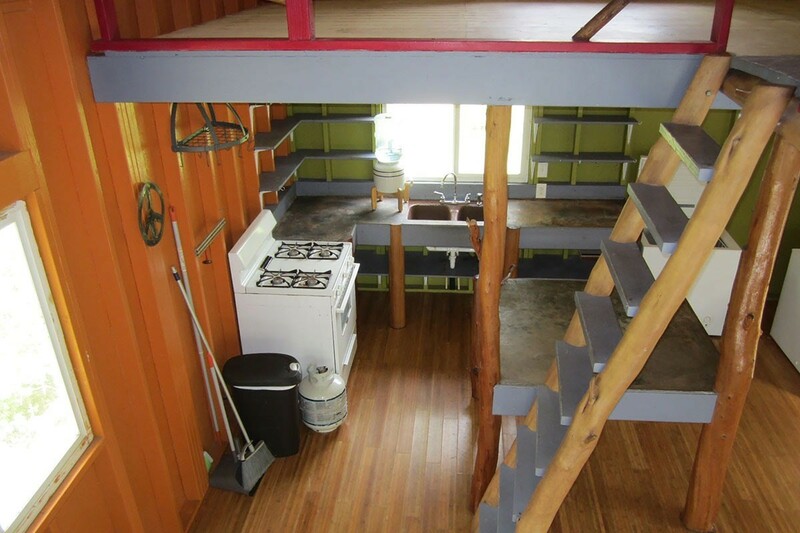 There is a propane stove, on demand hot water heater plus two electric refrigerator/freezer systems. 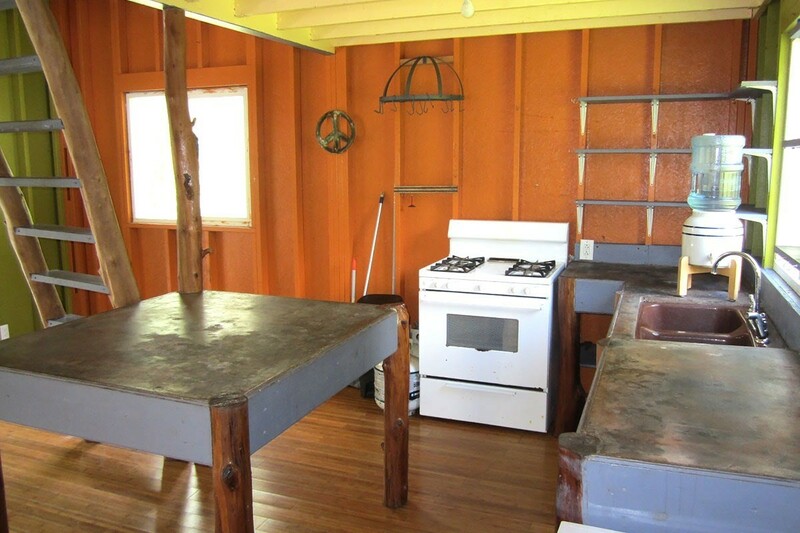 Mower and generator will stay. 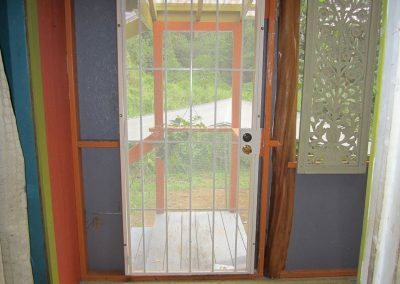 Property is gated with a grass lawn. 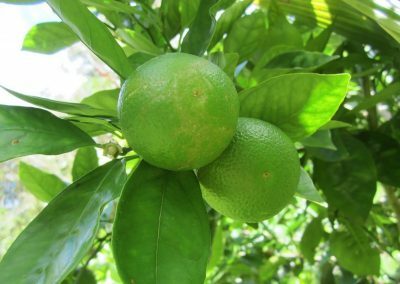 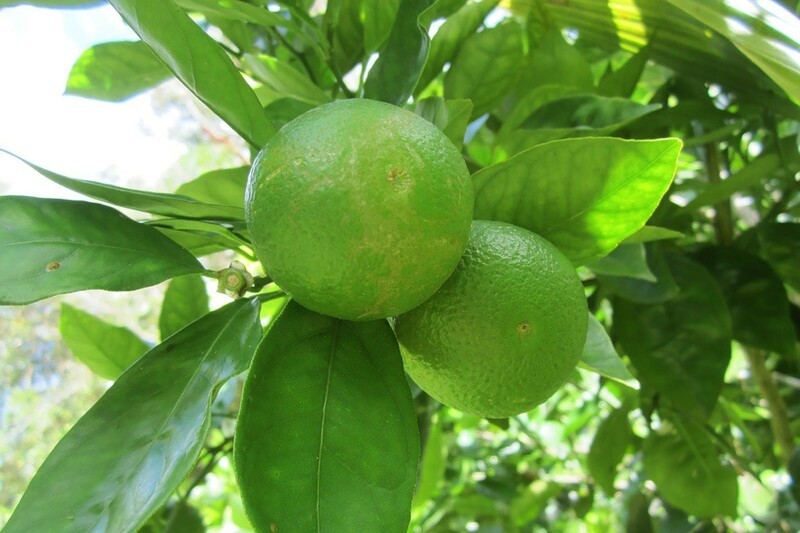 Fruit trees include Lychee, Orange, Mango, Mountain Apple, Surinam Cherry, Coconut, tangelo and Caracara. 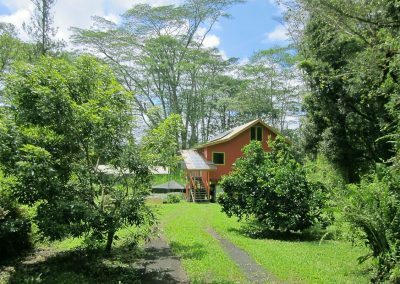 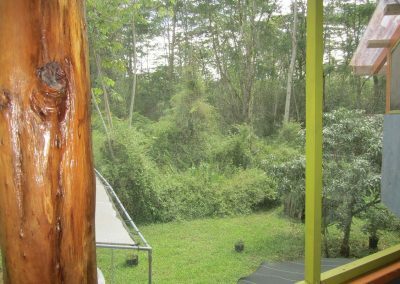 This property is located in the Nanawale Estates where you will be immersed in the amazing tropical Hawaiian rain forest Puna is known for. 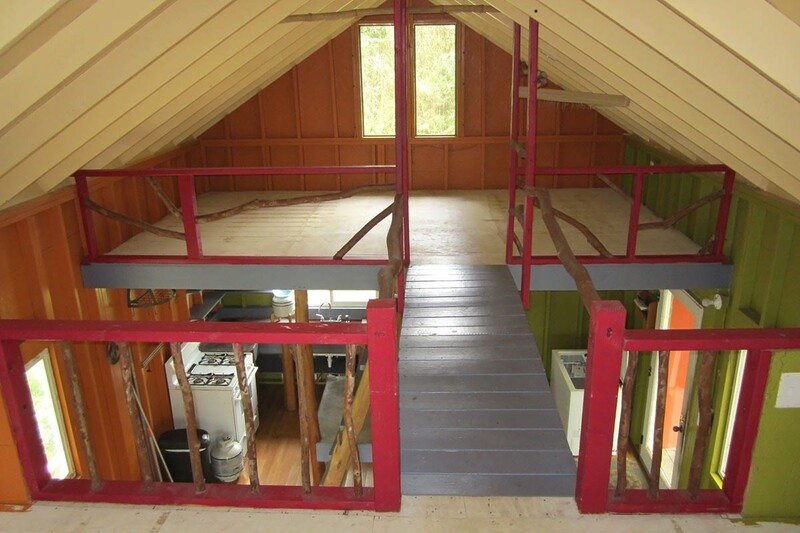 The location and elevation of the property is just about perfect. 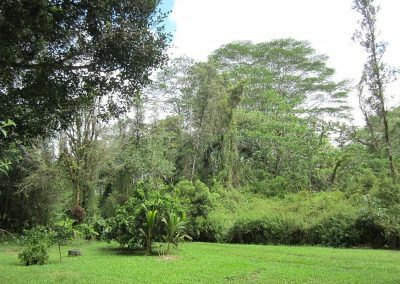 Enough rain and sun to grow almost anything, just a 10 minutes to Pahoa Town and all its conveniences. 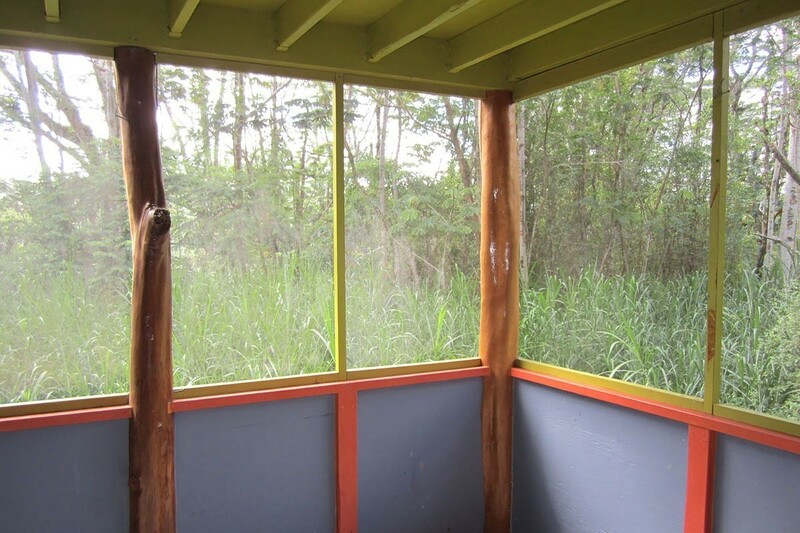 Come and look at this peaceful and private place. 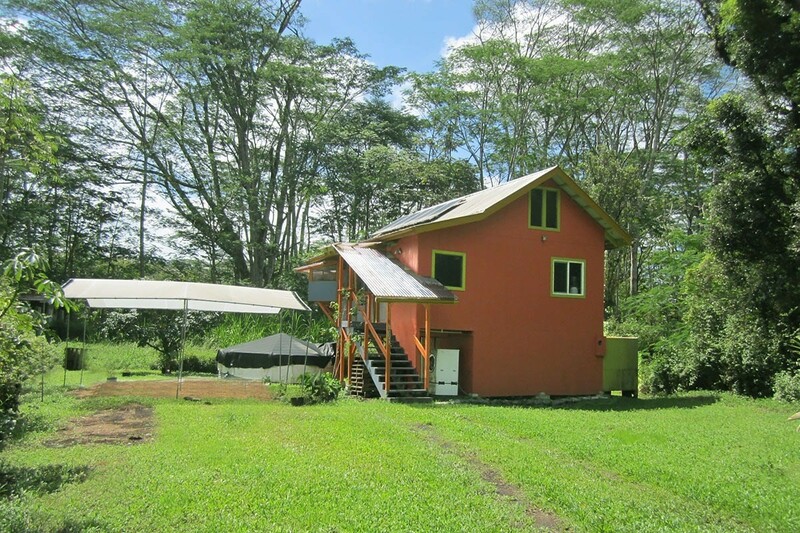 Great opportunity to purchase this property at a good price.